On Wednesday, The National Academy of Television Arts and Sciences (NATAS) unveiled its nominees for the 40th Annual Sports Emmy Awards. Topping the list of network groups, ESPN (which includes ESPN, ESPN2, ESPN3, ESPN+, ABC, ESPN Deportes, ESPNews, SEC Network, and WatchESPN) tallied an impressive 56 nominations, with NBC Sports (NBC, NBCSN, Golf Channel, Telemundo, CNBC, MSNBC, NBCOlympics.com, The Olympic Channel, and USA) raking in 38 nominations of its own. CBS Sports (CBS, CBS Sports Network) with 27 noms, Fox (Fox, FS1, and FoxSports.com) with 25, and HBO Sports with 16 wrapped up the top five. The XXIII Winter Olympics is the most celebrated individual event heading into this year’s Sports Emmys. The NBC family pulled in 12 nominations for its various efforts around the Games from PyeongChang, South Korea. Super Bowl LIII also brought eight nominations to CBS, and the 2018 FIFA World Cup, Fox’s first men’s FIFA World Cup, earned the network five noms. 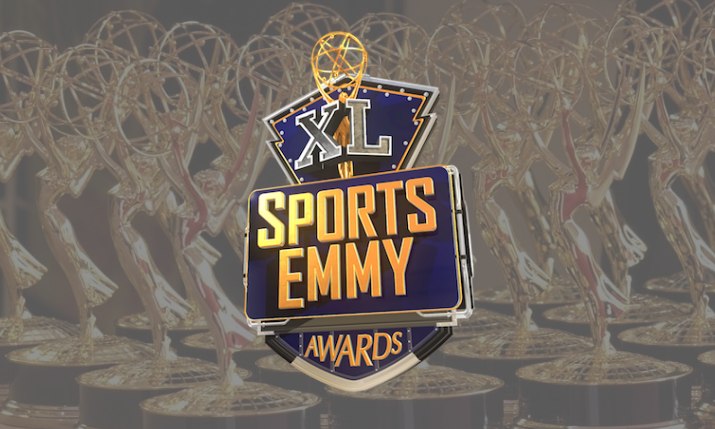 Some familiar faces will battle it out to take home the biggest award of the night: the Sports Emmy for Outstanding Live Sports Special. NBC/Golf Channel’s coverage of the 2018 Tour Championship, ESPN’s efforts at the 2019 College Football Playoff National Championship, Fox’s production of the 114th World Series, NBC’s operation at the 150th Belmont Stakes, and CBS’s Super Bowl LIII coverage are all in the running for this year’s statue. The race for the coveted George Wensel Technical Achievement Award is an intriguing — and crowded — one as well. The line-to-gain pylon cam deployed by ESPN College Football, a single-stream HDR with Dolby Atmos from a Notre Dame football game produced by NBC, a 5G workflow for U.S. Open golf by Fox, K Zone 3D on ESPN MLB coverage, the ESPN ACES system used by ESPN for the US Open tennis tournament, and the Raptor Smartglasses deployed by NBC at the Tour de France are all deserving nominations recognizing innovative efforts that advanced the industry technologically this year. For the complete list of all nominees of the 40th Annual Sports Emmy Awards, CLICK HERE.